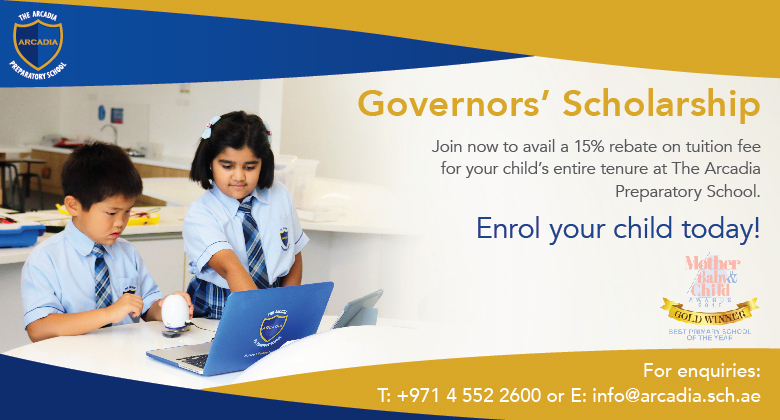 Pupils entering the academic year 2018-19, will be eligible for the Governors’ Scholarship and will be subsidised 15% of their tuition fee for their entire tenure at The Arcadia Preparatory School (until the end of Year 6). This includes deposits paid in 2018-19 academic year for future enrolment years. 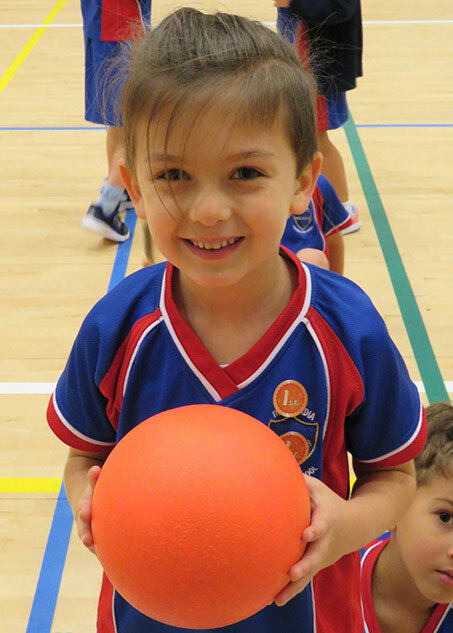 For pupils joining Foundation Stage 1 classes in 2018-19, the tuition fee will be subsidised 25% for that year only and thereafter will be subsidised at 15% for the remainder of the pupil’s time at The Arcadia Preparatory School (until the end of Year 6). * Tuition fees are net of 15% scholarship for pupils joining in the academic year 2018-19 and for their entire tenure at The Arcadia Preparatory School (until the end of Year 6). 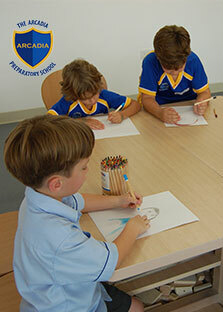 Tuition fees net of 25% scholarship for pupils joining Foundation Stage 1 for that year only and thereafter will be subsidised 15% for the remainder of the pupil’s time at The Arcadia Preparatory School (until the end of Year 6). A non-refundable, non-transferable Application Fee of AED 500 is required. A non-refundable, non-transferable Registration Payment of AED 5,000 is required to secure a place (deductible from the first term’s fees). 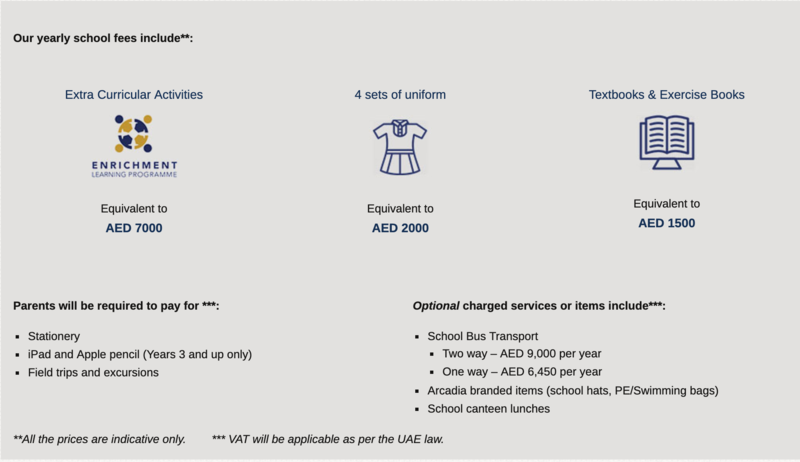 AED 2,500 of the school’s tuition fees are charged as a re-registration deposit to confirm the return of existing pupils in the new academic year. This deposit will be deducted from the total tuition fees for the academic year in which the admission is being sought. In the cases of both existing and new pupils, deposits and fees will not be refunded if students choose not to return to school for the next academic year or choose not to take the offered places.